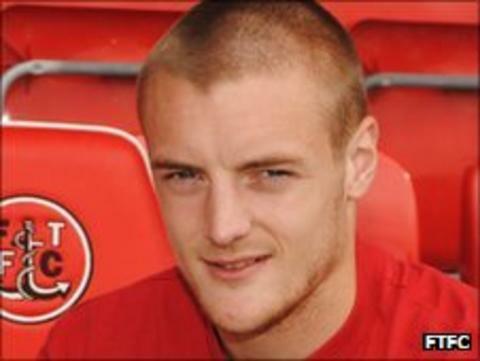 Jamie Vardy and Jamie Milligan scored to help Fleetwood win a bad-tempered game at promotion rivals Luton. The Cod Army took the lead when the hosts stopped expecting a free-kick but Jamie Vardy played on down the left-hand side to coolly finish. Luton's Aaron O'Connor hit the bar but Milligan scored Fleetwood's second from the penalty spot after Amari Morgan-Smith fouled Ryan Jackson. Janos Kovacs scored with a well-placed header from a Jake Howells cross. Fleetwood are now second on goal difference to Wrexham, while the Hatters drop to seventh. "In the first half we had done enough to go in front. People talk about decisions and things, but we have got to be bigger than that and I don't want to use that as an excuse. The most disappointing for me was the last 20 minutes. "As soon as they scored the second goal it seemed to deflate us. It was disappointing that we didn't roll our sleeves up and dug in a bit harder. "Wrexham and Fleetwood have both come here, both had a game plan that was identical and the most disappointing thing for me is that we have fell for the sucker-punch on both occasions and both those teams have gone away with three points."